Drivers Unlimited is the finest luxurious car service provider as well as Airport Transportation specialists for Bedford NY. We provide an array of transportation services to meet different client needs and a range of events. Our Bedford limousine service is the perfect transportation solution for all your activities and events in and around Westchester County. Whether you need transportation to a NYC airport or you have a group of friends looking for a car service to drive you for a night on the town, we have a solution for you. Our knowledge, experience and drive for success and customer satisfaction are all reflected in our excellent service. Let us provide our high-class transportation for all your events including birthdays, bachelor or bachelorette nights, corporate events, meetings, appointments and various group transportation needs. Travel in ultimate comfort when you travel with Drivers Unlimited. We are the local experts with inside out knowledge of Bedford and surrounding areas. You can trust our team to always provide the most efficient ride by selecting the most optimal routes. We can transport any group size and our team can help you plan any event with our Bedford Car Service. At Drivers Unlimited we are known for our reliable service and the luxury experienced when traveling in our top-quality vehicles. A Bedford car service provides the most relaxed way to travel, putting you at ease when you know that our reliable chauffeurs and dedicated staff are giving 100% to get you to your final destination in the most safe and comfortable manner. Our premium service is available 7 days a week, 24 hours a day and is backed by our well-trained customer care. No matter where you are headed, we are here to assist you. From the moment you contact our team, we will look after all your needs and take care of the fine details, guaranteeing that you enjoy a safe and efficient trip. We look forward to serving you in the near future. 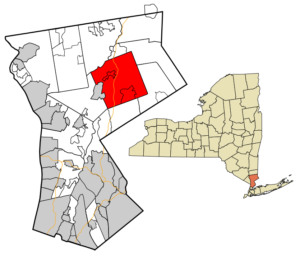 The town of Bedford is located in the northeastern part of Westchester County, and contains the three hamlets of Bedford Hills, Bedford, and Katonah. The town of Bedford was founded on December 23, 1680, when 22 Puritans from Stamford, Connecticut, purchased a tract of land three miles square known as the “Hopp Ground” from Chief Katonah and several other Native Americans for coats, blankets, wampum and cloth. Bedford was made a part of Connecticut in 1697 when a patent fixed the boundaries as a six-mile square. Only when King William III of England issued a royal decree in 1700 settling a boundary dispute did Bedford become part of New York. The town served as the county seat of Westchester County during the American Revolutionary War after the Battle of White Plains, until Bedford was burned by the British in July 1779. After the Revolution, Bedford was made one of two seats of county government, alternating with White Plains, until 1870. Westchester County’s oldest government building is the Court House in Bedford village, which was built in 1787 and renovated in the 1960s. 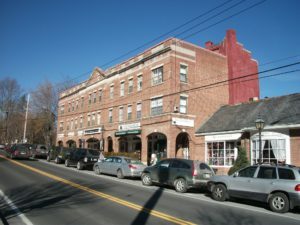 The Bedford Village Historic District, Caramoor Center for Music and the Arts, Palmer-Lewis Estate, and The Woodpile are listed on the National Register of Historic Places.